At last, GP Las Vegas is upon us. Unfortunately, work-related complications mean I will not be going. But that won’t stop me from examining the latest Modern results to anticipate the metagame. While these results are not entirely unexpected, interpreting the data with care ensures a more accurate metagame read. The data from the past few weeks tells a very clear story about the metagame. Humans is believed to be, and may actually be, the most powerful deck in Modern, but that doesn’t make it the actual best choice for a given field. Players expect that to be true and, consequently, for Humans to be widely played. This reaction is what will actually determine the GP’s metagame which in turn will inform which decks players “should” be playing if they want an edge on the competition. Normally, I aggregate the data and present it in chart form, but that’s not necessary here. I’m late to the party this time, so others have done the work already. The thing that struck me first was the Hollow One spike when the New Jersey results were added to the sample. However, as I looked through the decklists, this became less surprising. I will discuss why in the next section. What stands out is how, for lack of a better term, ordinary the Regionals results are. Nothing unusual stands out. There’s not even much innovation in the decklists, as Jordan pointed out. In fact, it’s almost exactly what one would expect just looking at the overall metagame. This metagame has been stable for some time, and nothing groundbreaking was printed in Dominaria. Even if there is actually something impressive lurking in the cardpool (as there often is), Humans is quite the gatekeeper. All that being said, I’m leery of reading even that much into these data. The problem is twofold: first, there’s no indication of what the overall metagame at each of the events looked like (for example, it was apparently very weird in New Jersey) and population can determine representation. The overall data may look reasonably representative, but that doesn’t mean that each event was, which can skew the results. The second problem is clustering. I’ve highlighted the cluster of Hollow One decks already, but that also happened for Jeskai Control, Humans, Grixis Death’s Shadow, and others. When a result is reported consistently across the test geography, it indicates that it is reflective of reality. Clustered results indicate local distortions, which is great for finding new research topics, but weakens a metagame conclusion. While the top decks did perform well across the board, their numbers came from many clustered results. Consider this: Humans and Hollow One had the highest total representation in Regionals Top 8s. However, Humans only appeared in 6/14, or 43%, of them; that’s a rate shared by Jeskai Control and Affinity. Similarly, Grixis Death’s Shadow had six total appearances, but only appeared in four Top 8s, for 28%. Hollow One did well with 8/14, for 57%, because it was only clustered in New Jersey. If the starting metagame population for each event was known, and there was a relatively even distribution, the clustering would not matter. Lacking that, I must assume that outliers and distortions are factors in these data. I can’t cleanly conclude that there is a clear front runner from the Regionals data. When considering the clustered results, it becomes increasingly unlikely that any one deck actually stood out from the pack two weeks ago. Therefore, the lesson of Regionals is not how well-positioned a given deck is, but how open the metagame is. Anything can do well, indicating that having a solid gameplan currently trumps deck positioning. 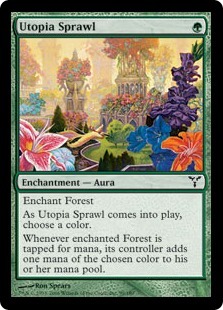 While most of the discussion about SCG Con will invariably be about No Banned List Modern and/or the Pauper Classic, I was focused on the Modern Classic. The Classic was the only all-Modern part of the event, and suffers from none of these issues, so it was the only tournament truly relevant to this article. Invitationals and invite-only events in general aren’t indicative of the metagame. The population is small, non-random, usually known, and heavily metagamed. This means that the sample is not statistically valid. When the guest list is known beforehand, it’s not hard to find out which decks players gravitate toward and plan accordingly. Furthermore, this was a multi-format event. As such, it was possible to be mediocre in Modern but excel in Standard and still Top 8; it worked for Gerard Fabiano, and may explain the Green Devotion deck. This time around, though, the Invitational did yield some interesting data. The Invitational’s Day 2 Modern metagame was stunningly warped. Jeskai Control dominated by a wide margin, doubling the population of Humans and Affinity. Whether this is a function of the starting population or an actual competitive success story is unknown (though I’m inclined to the latter, since Jeskai Control is the only deck with multiple copies at 7-1 or better), but it says a lot about player expectations. As mentioned, Humans is known to be the most successful deck in Modern right now. Given the population of Jeskai decks and that Mardu Pyromancer is in fourth place, and that both decks are known to have favorable Humans and Affinity matchups, it is certain that the Invitational players expected aggro decks to be very popular. My usual cautionary tale about reading into player intentions and decisions from results doesn’t apply to Invitationals. The players who attend the events write about their intentions and how they’re metagaming the event; it’s a reasonable extrapolation. The Invitational clearly had an unusual Modern metagame, and given how much discussion there’s been about Humans being the best deck, players choose to game against Humans. What is surprising is how few took the next step and tried to play Tron to get an edge over the anti-Humans decks. Perhaps the poor Affinity matchup scared them off? Anyway, onto the valid data. The Classic Top 16 decks are an eclectic bunch and really speak to the diversity of Modern. Humans has two copies in the Top 16, but so do Burn and Storm. The rest is a mix of known Tiered decks and Grishoalbrand. There isn’t a common thread that I can latch onto to explain these data or draw a greater conclusion. 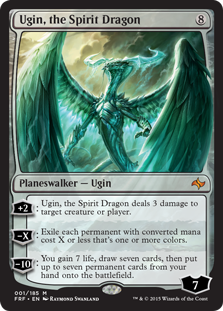 It just reflects Modern’s diversity and ability to reward deck mastery. After more than a month of pouring over data and making predictions, my conclusion is rather underwhelming. I cannot cull a deeper insight than Humans being the expected best deck in Modern. However, what I’ve realized is that while Humans does have a lot of staying power, it’s not exceptional. The provable reality of the past month has been that Humans is good, and may be the center of gravity for the metagame, but that doesn’t make it the winningest deck. It hasn’t had significantly better results than any other deck, and in some ways it’s been performing poorly. Jeskai has risen to feed on this metagame, allowing for decks that Humans otherwise suppresses. 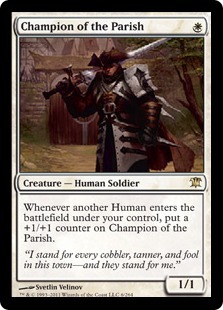 Furthermore players expect Humans to be the best deck. This was very clearly shown at the Invitational. Therefore, even if Humans isn’t actually a factor at a given tournament, it will exert influence over deck choice. Players are going to avoid decks that are weak against Humans if they have the option. Given this information, the logical conclusion is to play a deck strong against the anti-Humans decks and cruise to victory, right? Well, no. Standard and Legacy are reasonably stable and predictable, but not Modern. Looking back at the aggregate metagame data, no deck represents more than 10% of the meta. Therefore, odds are players will face a different deck every round during the GP. This is a format where trying to game the system too hard is self-defeating. Instead, be aware of your chosen deck’s strengths, play to them, and make sure you have a good plan against the known decks. The main thing to take away is to not overthink deck selection this weekend. It is very easy to get hopelessly lost in a metagaming cycle, decide on a strategy that only makes sense inside that loop, and end up playing Scion of the Ur-Dragon in Modern. The wiser strategy is to be fully ready for the expected metagame and have the flexibility to answer metagamers. This is Modern, and it’s impossible to prepare for everything. Instead, players are challenged to register a powerful and well-constructed maindeck while having a flexible enough sideboard to answer the unexpected. If I were going to Las Vegas, I would play Jeskai Tempo. I’ve been very impressed and successful with that maindeck, and would not change a thing. I wanted another Geist maindeck initially, but I started pairing with Humans and Elves again, and Electrolyze rejustified its presence. For the sideboard, given the proliferation of Jeskai Control decks and the diversification of aggro decks, I would have cut a Negate for another Dispel, switched a Verdict for Wrath of God, and cut the Cliques for the fourth Geist and a second Anger. These modifications support my primary plan of riding Geist to victory against slower decks and combo while expanding and diversifying my answers to aggro. Modern tends to reward small tweaks based on adjusting primary gameplans, as aggressively metagaming is more likely to miss. I have found no reason to doubt my initial impression of this metagame. The evidence of Humans dictating the meta has grown stronger over the past month. Many players have picked up on this and are reacting, but this doesn’t mean that it is correct to react to the reaction. There is no evidence that such a strategy has paid off so far, and many players appear to be actively playing into this reaction and winning anyway. Rather than go crazy trying to find the solution to the format, play what you know. Mastery is, as always, the key to Modern success. Failing that, it is acceptable to just play Humans. The deck is straightforward enough that, given no better option, players should be able to audible to it and still do well.